We are leaving Polesskoye and heading home. 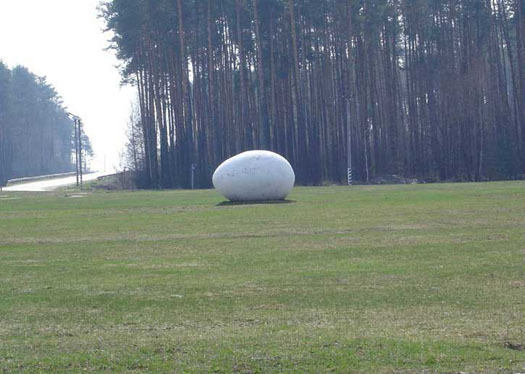 Radiation here is the same as at Grand Central station in New York, where radioactivity of the stone rise the level up to 50 microR/hr. Excitement of riding a motorcycle through the Wolves Land can not be compared with riding a car. On a car, you just a tourist. On motorbike, you are savage, the abuser, the part of a wild life. Usually, when they talk about the dead zone, they talk about area that is 30 kms around reactor. What about this towns and villages? 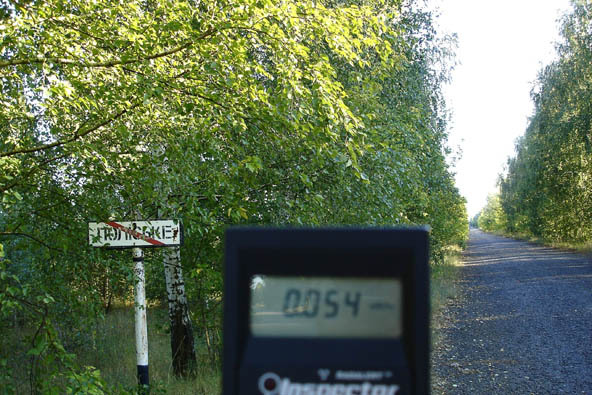 They are 60 kms from reactor. The Wolves Land is bigger than many think and it keeps on growing. Now days, it spread on 300 kms from South to North and on 100 kms from East on West. Of course, folks are still living in various places, but you won’t find a young and prosperious people with happy faces. They are mostly elderly people who want to spend the rest of their lives in their old homeplace… Some places are clean and safe to live in, but the infrastructure of the region has collapsed and there are no jobs and nothing to attract young people anymore. The region is dying away. There are two wings of the Wolves Land. 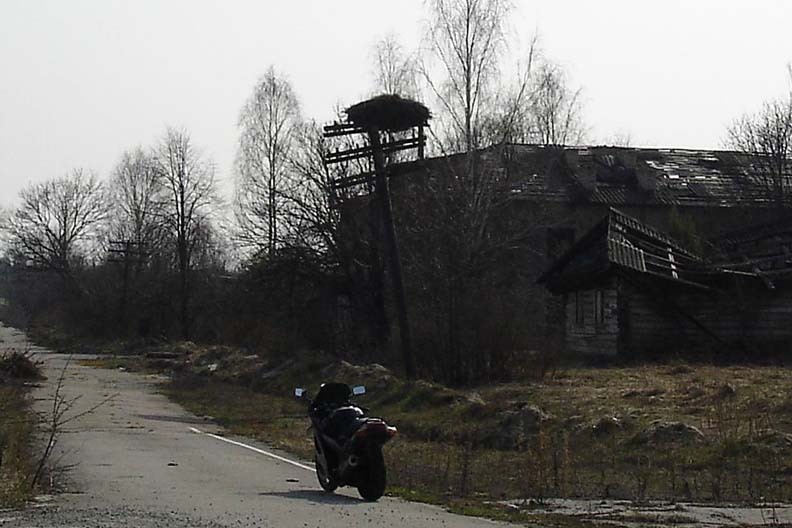 So far in my reports of “Ghost Town” and “Land of the “Wolves” we have visited only the southern wing which is located in Ukraine and Belorussia. 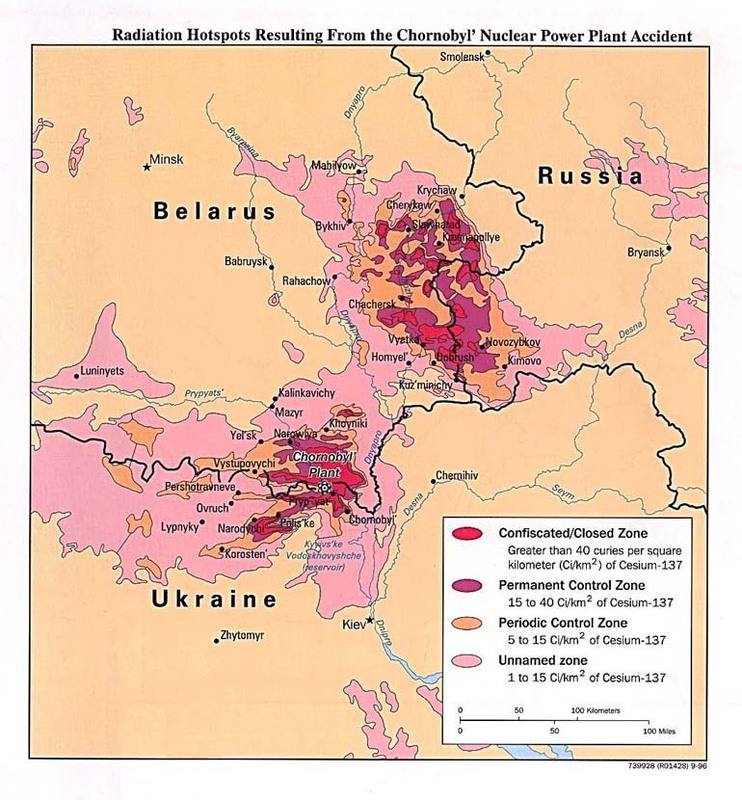 The map shows the total territory that Chernobyl poisoned with radiation. The northern wing is located in Belorussia and Russia. It is huge and depressing. May be I will tell about this land some day.